Deputy Premier-Strategy and Finance Minister nominee Hong Nam-ki has unveiled a taxation plan on cryptocurrencies and his position on initial coin offerings (ICOs). 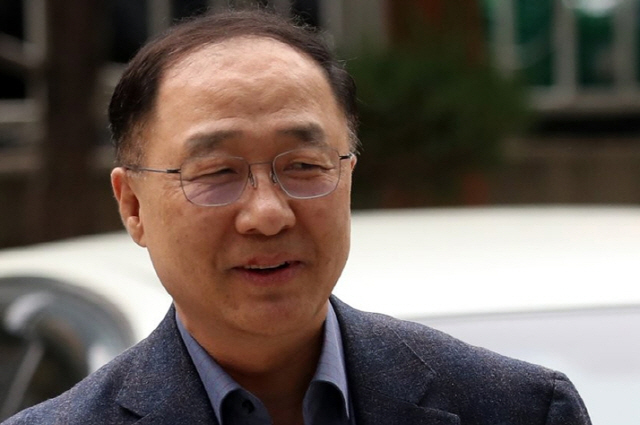 Hong, who was nominated as Korea’s top economic czar to succeed Kim Dong-yeon, defined cryptocurrency as electronic signs of values issued privately rather than central banks and financial institutions and said there are about 2,000 cryptocurrencies traded globally and 160 domestically. “Cryptocurrencies are a new phenomenon and so there is no internationally agreed regulatory framework. Furthermore, there are such lingering problems as the market overheating and investor protection. Therefore, we need to be careful in building the regulatory framework,” Hong said. With respect to ICOs now banned across the board, he also said whether to allow ICOs must be carefully considered after watching market conditions, international trends and investor protection issues. “We will determine our policy orientations on ICOs with relevant agencies after reviewing the results of the financial regulator’s market survey and getting feedback from experts,” Hong said.